About this site | Energy 3.0 : the webmagazine about energy efficiency. 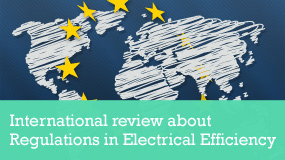 The challenges posed by electricity and power for future generations, the impact we have on climate change, and the major technological advances in the electrical equipment field and its uses are all reasons that encourage us to take a serious look at the issue of energy efficiency and discuss it. This website assembles a range of information from reliable sources on energy efficiency, and more generally on the ongoing revolution: the Energy 3.0 Revolution. Tomorrow’s world will increasingly need to reduce its consumption. Thanks to the development of renewable energy and home automation, and to the convergence of the heating, digital and electrical worlds, consumers will be in control of their energy. There are many kinds of expected gains including energy savings, improved quality of life and health, a reduction in greenhouse gas emissions, sustainable economic growth, and more jobs. The key words for the new solutions will be efficiency, convergence and communications. Rexel is a leader in the professional distribution of products and services for energy world. 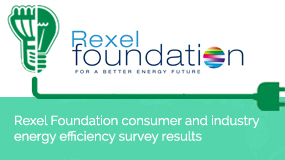 Thanks to its product expertise, its contact with electricians and users, and its concept of new solutions and requirements, Rexel is helping people to understand the energy efficiency issues of today and tomorrow. The Rexel Group operates on all five continents, has around 40 brands and employs over 27, 000 people. The Group, which originated in France, generates revenues of €13.2 billion. Rexel applies its expertise to create solutions in the fields of energy efficiency, energy control, technical building management and renewable energy. Thanks to its expert centers, the Group can work with professionals as diverse as electrical installers, specialists in the tertiary hospital sector, data centers and the industrial sector. Rexel Rexel is focusing on energy-saving issues and eco-efficient solutions. As the world leader in its sector, the Group is a responsible company where society and the environment are concerned. It is working for a safer, more comfortable, higher performing and more sustainable world.